Franciscan Home Care and Hospice Care is sponsored by the Franciscan Sisters of the Eucharist and is guided by the Teachings of the Roman Catholic Church. 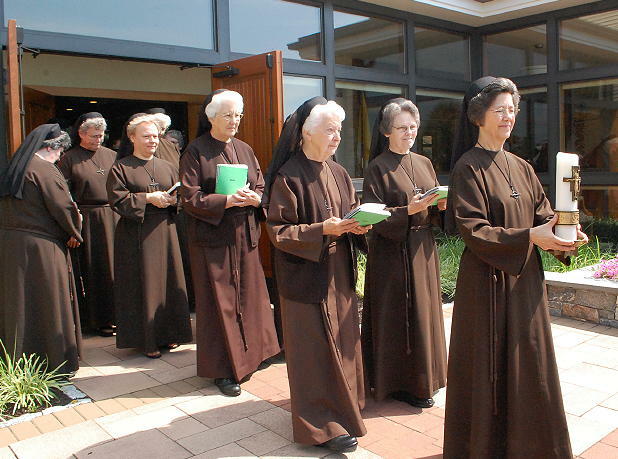 The Franciscan Sisters of the Eucharist were founded in 1973 and are called to follow in the way of St. Francis of Assisi and to “rebuild the Church” in the works they do. Home health care and home hospice care are key ministries of the Franciscan Sisters of the Eucharist because they support the needs and dignity of the human person. The Franciscan Community has sponsored Franciscan Home Care and Hospice Care since 1974. Learn more about the Franciscan Sisters of the Eucharist, their ministries in centers throughout the world, their community life and their growth by visiting their web site.